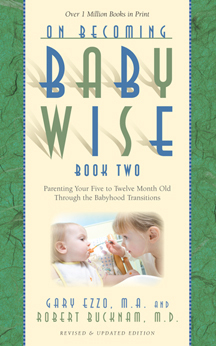 In On Becoming Babywise II, Ezzo and Bucknam talk about the natural process of how babies grow and learn. There is a natural order to things. “Like adults, children interpret new experiences in relationship to knowledge formerly aquired. That means learning is progressive, and a child only gains understanding when new information has meaning in relationship to previous experiences” (page 18). Notice they said “like adults.” So let’s take this out a level. I think sometimes when we are trying to understand others, it helps to relate things to ourselves. Think about something you have learned recently. Think about how you learned. Did you start with the most difficult part of that skill? Or did you start basic and add to it? Perhaps it was cooking, baking, sewing, gardening, dancing, music, even cleaning. No matter our age, we learn bit by bit. Line upon line. Precept upon precept. Think about courses in school. You have a beginning class. Then you can take classes that build on that and you can learn even more. An example in our life right now is piano lessons. Brayden started piano lessons this Fall. His songs started with playing only two notes. He is now up to five notes–but still playing only one note at a time. As he learns, he will start to play two hands at a time eventually. Babies also learn this way. They start with the basic and move forward. When your baby plays with a new toy, we parents usually want to show the baby all of the amazing things baby can do with it. It would make more sense to focus on one facet of the toy at a time and build on that. And this naturally leads us to a key point in both the Babywise books and the Baby Whisperer books: Begin as you mean to go on. Teach correctly from the beginning, otherwise you will be correcting past learning as they build on their knowledge. Again, I come back to piano. When Brayden first started, I wasn’t sure if I should be strict with getting timing just right or not. I didn’t want to overly frustrate him. One day, my husband helped him practice and was super strict with timing. Later, my husband told me that he (my husband) never had someone be strict with him in timing while playing the piano when he was first learning, and that he still struggles with timing today. He commented that if it had been a focus from the beginning, he thinks he would be better at it today. He wanted Brayden to have that opportunity. He said he didn’t want to have to reteach or retrain Brayden. Of course that made total sense to me. Begin as you mean to go on. Imagine if I had waited even until now. Instead of focusing on timing with two notes, we would be starting that with 5 notes. Or say I waited a short year. What is a year? Old habits die hard. As your little newborn turns to “baby,” keep this idea in mind. Keep your main goal in your head so that as your child learns, you can guide her toward that main goal. Try to see the bigger picture along with the smaller parts so you can get things in the right order. Your child is about to have an explosion of skills attained in every area of life. Imagine if you learned as much in one year as a baby does! Don’t rush your child through the process. Take things step-by-step in the natural process. Begin as you mean to go on. Thanks for your comment grace!